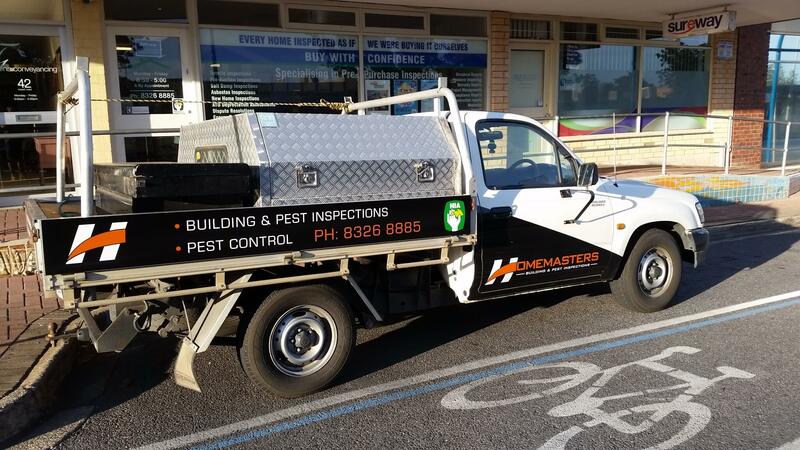 Pest Inspection Adelaide – Do you need one prior to purchasing your next home? Buying your next home in Adelaide? There may be one thing you haven’t considered yet. A Pest Inspection, but do you really need one prior to purchase? This article will cover some of the potentials risks you should consider prior to buying your next house. It will outline some handy tips that you as a buyer can use to your advantage to obtain the information you require to make an informed decision about the purchase. There are some simple questions you can ask yourself as well as the real estate agent to help ascertain if your most valuable asset is at risk of a termite attack. Asking questions can make you feel uncomfortable but remember, you are in charge, you are the one buying the home, ask away! You may learn some valuable information about the home along the way. 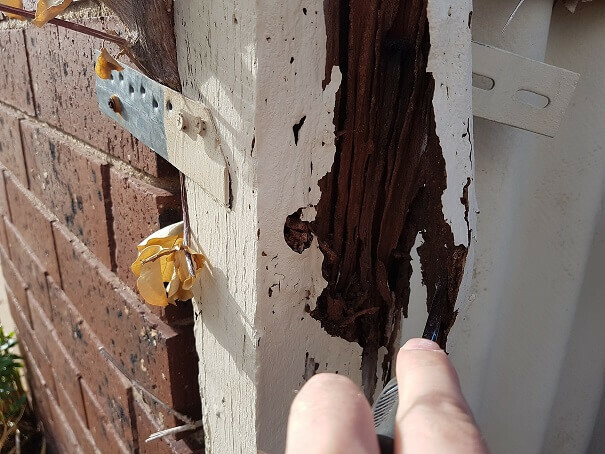 Statistics states that termites cause damage to one in three homes making most homes in Adelaide a high risk for termite damage. Following are some questions you can ask to ensure you don’t buy a house that’s being eaten away. 1/ Establishing what sort of home you are buying is crucial. Does it have timber floors? Is it a Brick veneer home? Does it contain any timber at all? How many areas of this home can be affected by termites? If you are unsure contact us, we may be able to assist over the phone. Asking the agent or vendor may also be of some help. 2/ Does it have any soil/pathways or gardens beds up against the walls? This can be crucial. 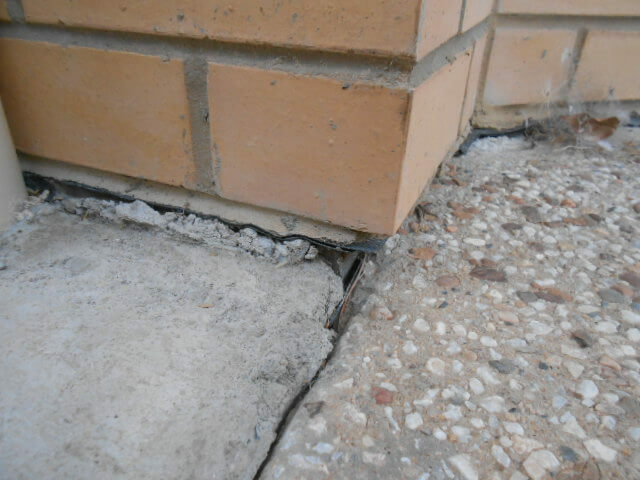 Soil or pathways against the wall can provide an undetectable termite entry point which means even regular inspections by a competent pest technician may mean termite entry won’t be detected. 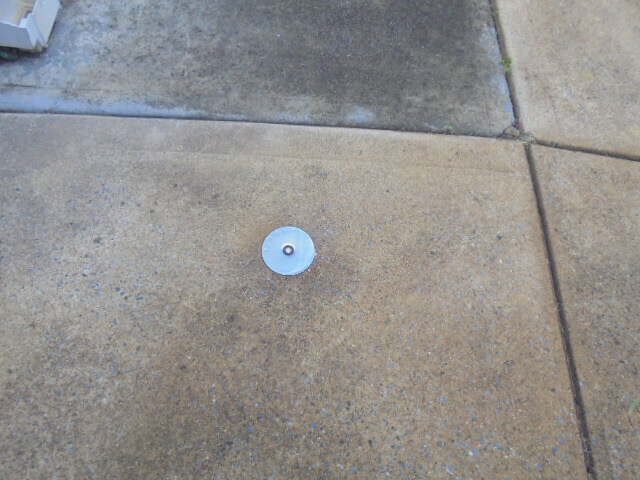 If this is the case, a pest treatment may be required. DPC compromised by concrete pathways. It promotes dampness and moisture related problems within the home which in turn may ultimately encourage termites to the structure. 3/ Determine if there is any timber in direct contact with the ground. This is extremely important as any timber in direct contact with the soil can be easily damaged by termites but again will also encourage termites to the property as it provides a food source and a possible nesting area. Have a look at the fencing, does it have any timber? Are there trees that surround the property? Pay specific attention to retaining walls as termite damage can generally be easily seen which will alert you to termites being within the perimeter of the house. 4/ Pay close attention to leaky services. This can include any leaking taps, gutters, downpipes, air-conditioners and hot water overflow pipes. One area that can’t be inspected effectively without the proper use of equipment is moisture behind showers or taps. A specialist timber pest inspection should be carried out to help ascertain potential moisture behind tap ware. HomeMasters Building Inspections incorporate this test in all of their inspections which can assist in detecting possible leaks to plumbing. Leaking services will create excessive moisture and rot which in turn will attract termites to the home. Leaking services can also void any potential termite treatments that may be in place. The excessive moisture has the potential to wash away chemical which can be detrimental to the lifespan of the chemical which in turn may mean you are no longer covered under any warranties that could be in place from a prior treatment. 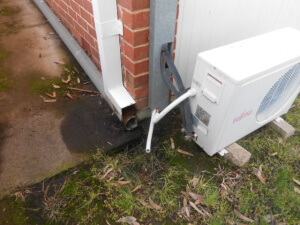 The inspections carried out by HomeMasters Building Inspections identify any potential problems such as these so you are fully aware of what you are buying and any action that may be required to rectify. A downpipe leaking next to a homes foundation. 5/ Determine if there has been any prior treatment or pest inspection to the property. 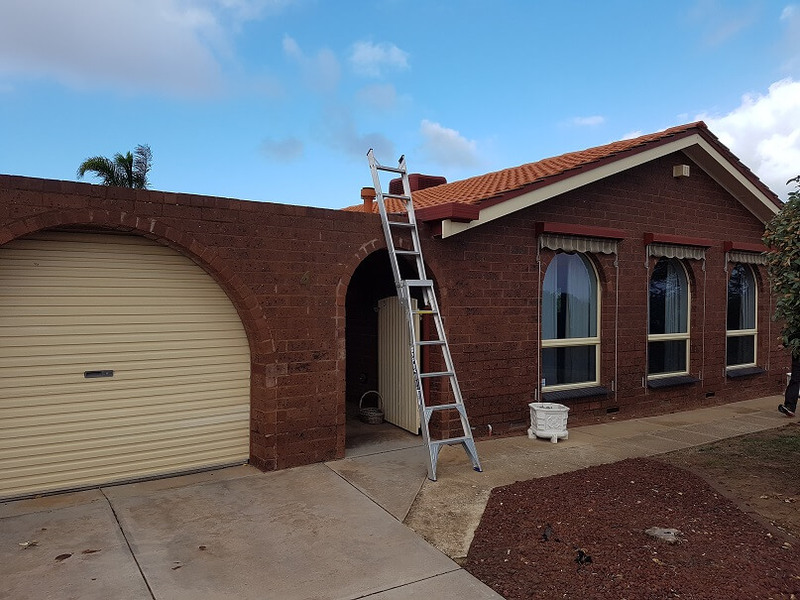 Working out if the home has had a prior treatment can sometimes be hard, but it can go a long way in assisting you to determine if a Pre Purchase Inspection in Adelaide is required. Obtaining any paperwork in regards to prior treatments can be very beneficial. It may state the type of chemical, when it was performed and how long the life expectancy is. It may also contain warranty information and how it was applied as well as any limitations in regards to the pest treatment. Ask the agent for any information in regards to pest inspections or treatments but proceed with caution. Having someone say it has had regular inspections or a recent treatment with no paperwork could be putting you at risk due to many unknown factors. Other signs of a prior treatment can be cut outs in floor boards inside the home or small holes in concrete around the home usually at approximately 300mm centres. Sometimes it may even be termite bait stations located around the property as can be seen below. Check the meterbox for any information in regards to a termite treatment, it may have a sticker of the company that has previously treated the home along with relevant information regarding the treatment. Going through these questions will help you in deciding if a pest inspection is required prior to purchase. For peace of mind HomeMasters ALWAYS recommends a pest inspection prior to purchase for peace of mind. 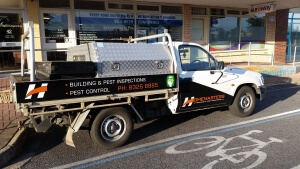 We provide an all in one solution by providing combined building and pest inspections all throughout Adelaide. Having an integrated pest management solution to protect your home is always beneficial in ensuring your investment is safe and is highly recommended. If you have found a home and need some friendly advice on how to proceed with your house purchase or if you do require an inspection, we are only happy to help. Be sure to give us a call on 8326 8885 . Or come visit us at 2/42 Beach Road Christies Beach, South Australia.